ONE Championship and Dentsu Inc., Japan’s largest global advertising agency, have agreed to launch ONE eSports as a joint venture together in 2019. Razer, Singtel, and other top industry players have also entered into partnership MOUs with ONE eSports to lead Asia’s eSports industry together. ONE Championship intends to lead a plan to invest up to US$50 million alongside other key partners into ONE eSports to create Asia’s largest global eSports Championship Series; ONE eSports will feature multiple blockbuster game titles across Asia and hold a number of eSports events held alongside ONE Championship martial arts events in 2019. Earlier this year, ONE Championship announced a 30 event schedule for 2019 for its global scale martial arts events across iconic Asian cities. In addition, ONE eSports will also produce and broadcast dedicated eSports content in the form of live event broadcasts, documentaries, reality shows, weekly magazine shows, highlights, video blogs, and other unique content across its global media broadcast platform in 138 countries. Chatri Sityodtong, Chairman and CEO of ONE Championship, stated: “It is with great excitement that I announce ONE eSports, Asia’s largest global eSports Championship Series. We see a natural crossover between martial arts and gaming fans in Asia and an opportunity to bring them together under Asia’s home of millennial live sports. 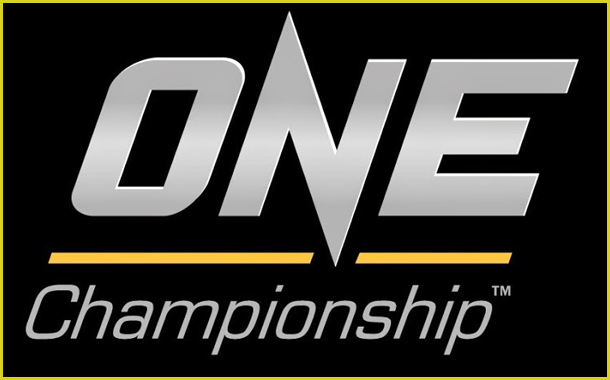 ONE Championship is committed to bringing its same brand of large-scale event production and live broadcast capabilities, unique world-class content production, global media distribution, storytelling expertise, and marketing experience to ONE eSports. While ONE eSports will showcase blockbuster game titles from around the world, Dentsu is the dedicated marketing partner of the Japan eSports Union (JeSU) and will be responsible for harvesting Japanese game developers’ desire to expand in eSports across Asia via ONE eSports. Dentsu will also help to lead ONE eSports’ efforts to hold events across Japan. In addition, ONE eSports will also leverage Dentsu and Dentsu Aegis as its preferred marketing agencies for strategic marketing formulation and sponsorships around the world. Shuntaro Tanaka, Director, Content Business Design Center of Dentsu, stated: “We are pleased to announce this partnership with ONE Championship as we look to further develop the rapidly growing eSports industry in Japan and the rest of Asia. ONE eSports will also work with Razer, the world’s leading lifestyle brand for gamers, to leverage its ecosystem of hardware, software, and services. ONE eSports will also explore working with the Singtel Group, Asia’s leading communications technology group with a combined mobile customer base of over 700 million. The collaboration across Singapore, Australia, Indonesia, Thailand, Philippines and India will potentially include joint eSports marketing efforts, production and distribution of eSports content through the Singtel Group’s platforms, telco data bundle plans and online and offline payment services through direct carrier billing and telco wallets. This is an extension of ONE Championship’s ongoing collaboration with the Singtel Group in mixed martial arts events. Arthur Lang, CEO International of Singtel, said, “We have had a great partnership with ONE Championship since the joint launch of its app in May this year and other marketing collaborations across our regional footprint. Tags: Japan’s largest global advertising agencyjoint venture togetherlaunch ONE eSportsONE Championship and Dentsu Inc.